It’s a story that involves courage, determination, passion, taking risks and teamwork. If you are one of those people who are looking for some exotic, exciting and adventurous experiences to tell their grandchildren when they’re old, here’s one that might inspire you. But even if you’re not the adventurous type and like to drink some tea and eat some cookies in a very cosy place, this story might also be about you. With no further ado, starting next week, one software engineer aka Catalina F. and one kindergarten educator aka Georgiana will traverse GR20, the toughest long distance trail in Europe, carrying 15 kg backpacks and traveling either in the rain, in the burning sun or the heavy wind. It is considered to be the most difficult of all the GR routes and one of the most beautiful mountain trail in Europe. GR stands for Grande Randonnée, which means big excursion in French. It’s 180 km long, with variation in height of about 10 000 metres and can be walked in 16 days. Even though the GR20 doesn’t require any climbing techniques, perfect fitness level and confidence in walking over a variety of rugged terrains is necessary. “It’s somewhat crazy, but I was inspired and motivated by my friend, by her ambition and passion for hiking. 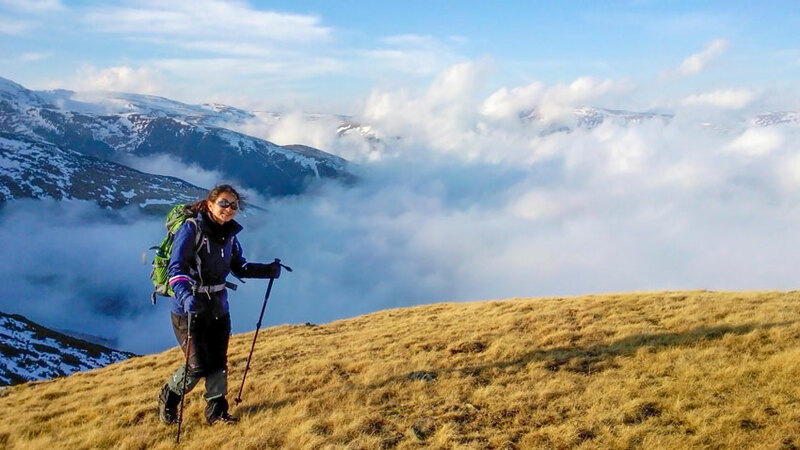 She’s been trekking in wild mountains since adolescence. I met her at the beginning of this year, she told me she wanted to go to Corsica and here I am now. We formed a team and have been training together since then. I am very curious how I will deal with all the situations, if I will be just as determined to continue as I am now, if my body will listen to my mind or vice versa. I have to fight my inner demons that will tell me I can not do this, that it will hurt, that I need to stop”, says Catalina, adding that this journey resembles a lot with the R&D projects she’s been working at Enea Romania. 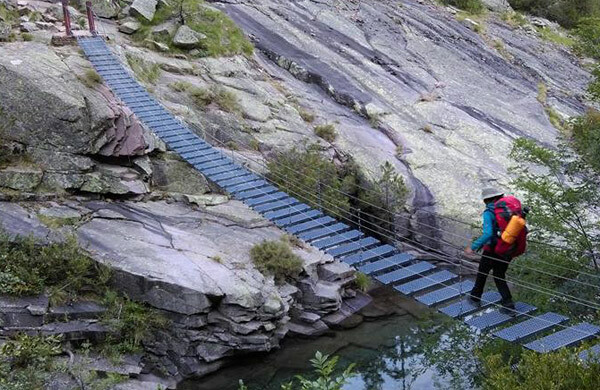 If you’re wondering what can possibly be the similarity between IT and hiking, one essential quality is to be able to quickly adapt, both in programming and in hiking, because you always have to learn new things and you want to try something even more difficult than the previous challenge. One has to have motivation and desire to be better than yesterday. To overcome its own limits. Practically, Catalina is trying to do some R&D with her personal life. “In IT, there is a preliminary stage where we investigate the issues and we do some reasearch. We need to learn new things and how to deal with a problem and often this is the most difficult stage. Somehow it equals with the training phase to reach the top of the mountain, because you have to be ready to solve the problem before you can fix it. Solving the problem is not that hard, it’s hard to prepare for solving it. During the training, you don’t see a concrete result, that’s why it can be disappointing. Only in the end you’re able to solve something and get the satisfaction you need”, says Catalina. Also there is an unpredictability factor in both situations. In IT, because Catalina is working in open source, the project, the code itself change at a sensational pace, and what you knew yesterday can no longer help you. It only helps you the experience of what you knew yesterday. “When climbing the mountains you can rely on your experience, but every single time you encounter a new situation. Although you choose the same route, it may be a changing weather, you may be different, maybe you’re in a bad mood. All these may affect you. One’s emotional state is very important”, says Catalina. Those who work in IT know this can be true also for IT projects. When you’re in a good mood, you can have a tremendous rhythm in solving problems. And you spend a lot of time when you see that you are very close to solving something. Usually you do not quit on that day and work overtime just to solve that problem. “When trying to reach a mountain peak, you will not stop after 80% of the way. You get that far, you can’t quit now. And you continue. Both programming and hiking can be learned by oneself. You need a lot of confidence in your ability to assimilate, not to rely too much on the support of others. It’s not like you’ll not get it, but maybe it’s not what you want. You need a lot of dedication in this area, you have to spend a lot of your time. The more time you spend to each of these two things, the more you grow. Dedication, determination, time. Time is the most precious of all”, admits Catalina. Let’s not forget courage, determination, a sharp mind and desire to be better in everything you do. Each individual is unique and can create value just by being inspirational. We at Enea support diversity and encourage people to be different, to take risks, not to be afraid to follow their dreams. And thus, my dear Eneans, it begins the story of Catalina’s own recipe for success.